When I was growing up, I learned how to read a map. Actually when we went on a family vacation, I often got to be the navigator. My dad was the pilot and I was playing co-pilot. My mom and brother probably fought in the back. I'm not really sure if it's learned or if it's innate but I somehow ended up with a great sense of direction, a navigational beacon, if you will. This sense has provided great help to me over the years. Especially when driving in a new area that I am unfamiliar with. I always like to know which way is which, unlike my mom who does not have that sense of direction. She was so excited when she got a car that had a display with which direction she was going. Sure I've gotten lost before a few times but I knew how to find myself. I use the technique where I would drive in a specific direction to get back to an area, landmark, or crossroad that I was familiar with. 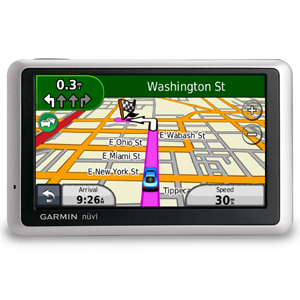 Before the world of GPS, I would use a map or look up directions on Google or MapQuest. These worked wonders. Then we entered the such-a-wonderful-world of the GPS. Or so we thought. I resisted for many a day, week, month, year. But alas, moving to a new area proved to be a challenge. I was still living life without said GPS, but my parents in that sneaky way they have, bought a GPS for "themselves" and it consequently ended up in my possession. My mom was worried that I would get lost in the big city. I was going to return it, but then they bought a new one. I know a lot of people swear by GPS's, they don't know how they lived without them before, they need them. But me, well mine kind of drives me crazy. I think it causes problems in my life. First of all, it broke and lost all its maps the first month I had it. After spending almost an hour on the phone with tech support, I had to return it anyway. And then the direction giving....Grrrrrr. I always find it is best to take the simplest way there. For example, do not take me on a ton of back roads with stoplights, too many turns, and slow speed limits, when there is a perfectly capable 4-lane roadway right there. Obviously stopping at those stoplights creates a lot of delays. Duh. And I would prefer to drive faster than 35 mph. Just saying. And I cannot figure out how that stupid estimated arrival time works. It's like it's messing with me. When I drive the speed limit my ETA actually goes up. But when I speed the time does not go down. Nearly never. It's liked it has learned that I speed all the time on occasion. I don't get it. I think I am going to pawn it off on my brother. I'll take the good ole days of Google maps to find where I am going. Or if all else fails, I will just ask for directions. What do you think about GPS?